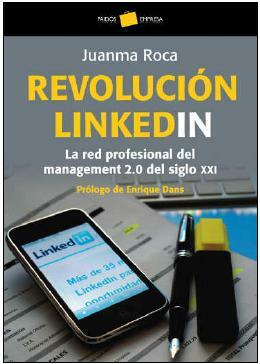 On 2 July at 10h Juanma Roca He will present his book: revolution LinkedIn. LinkedIn is a professional network established in 2003 by the American Reid Hoffman, and is one of the professional networking works best. Currently, the network has 38 million users. People who have attended my courses can attest that there is no course to do, which does not recommend students who are discharged on this network. Since the Internet opened the world, the real revolution of the XXI century have shaped the social networks that have connected. The book of Juanma Roca It is especially interesting because it explains how this has been rapid implementation of social networks, what their real potential and how we can implement digital tools to improve our capacity for individual business on the net. 2008, MySpace was the market leader, but only a year later, Facebook was breaking over 150 million users in 35 languages ​​and 170 countries ... and in Spain we have to Tuenti that is revolutionizing the teens. But what is the business model of these networks? Are they sustainable? Are they a fad? ... all these questions are also unveiled in the book presented next 2nd. Unfortunately, I can not attend this presentation but I think it may be interesting for many people, so give diffusion through this blog, and I wish Juanma and the Editorial Paidos they go all right and that the presentation is a success. Let's see if I have for the next time a little quieter agenda. 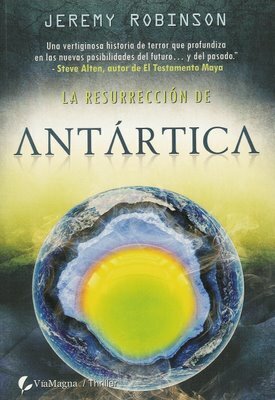 Although The Resurrection of Antarctica It is not published in the collection Quantum Via Magna, it is a science fiction book. 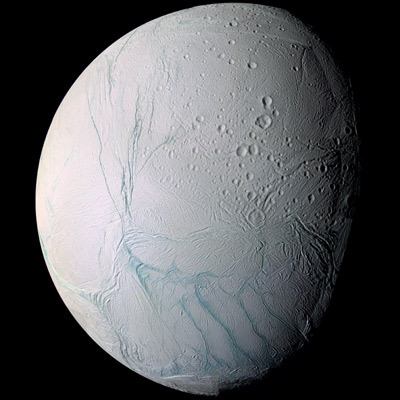 Obviously following the global catastrophe caused by the movement of the earth's crust, a large part of the population has perished beneath the waters that caused the melting of the poles and the world has great difficulty in reaching the millions wounded and displaced they have survived the frost that occurred in areas that are now the poles. Following such an American custom (and I've never understood), the world decides that Antarctica to claim a race in which there will be three winning teams will be divided this continent is organized. So every country prepares its teams. Once in Antarctica, teams to various types of risk will face: animals that have revived thanks to the Anhydrobiosis (a kind of liofiliación but allows animals to revive ... I know there are certain agencies that do have this capacity for regeneration ), dinosaurs and finally to biblical demons that the author calls Nephilim. Since Jeremy Robinson (author) is scriptwriter, the whole book has pace and is very well told. If something sins, is that at times we seem to be in the chapter of a TV series. One issue that yes I liked is how the author mixes crustal movements and the whole issue of the cycles of 10,000 years, with the map Piri Reis (An Ottoman map based on another map 1,500 years prior to Columbus in which the coasts of America and Antarctica appear). Jeremy Robinson makes the characters will appear mapped finding areas on this map and this gives an additional interest to the story. One thing that strikes the author is the extreme religiosity of one of the protagonists ... it's almost as if we were reading science fiction Orson Scott Card ... although in the book's foreword, the author confesses that is Christian and prepares us for what We await us during reading. However, the book reads well and is fun. Hooked from the first chapter and is one of those that if I get to catch during August, I would have read it in one fell swoop, regardless of the number of hours it took to spend. As it has been the case and apart from work in the office I had to teach, I used 4 days ... but I recognize that there have been times when I have heard bad having to leave the book for another quiet time. Looking image to illustrate this blog post I found this video presentation ... not surprise me that the book ends in film ... the trailer for presentation have carefully worked. 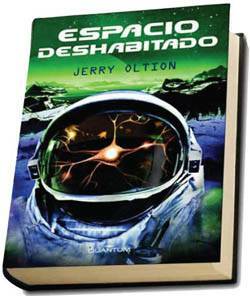 Review of "UNINHABITED SPACE" Jerry Oltion - Quantum, Ed Via Magna. The book consists of two distinct parts, one part type Dutchman mixed with science fiction novel, then, clearly a part of Fantasy and semi novel Epic. So it becomes difficult to classify in a single genre. 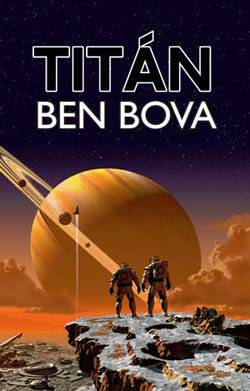 The book is based on a novella Jerry Oltion who won the Nebula Award in 1997 and bearing the same title as this: "Abandon in Place". About the author, I recognize that he did not know and had never heard of him. In the review on it that is included in the book he is said to have been a gardener, stonemason, carpenter, oil, Ranger, Surveyor, disk jockey rock, typesetter, proofreader, editor, computer specialist, an extra in films, excretory and driver garbage truck ... also indicates that the author of a hundred short stories and a dozen novels. Overall a weekend book, which does not think much (beyond the issue of whether actually create reality with our thoughts), but it is entertaining and can be read well is. 100% recommended if you do not have high expectations. https://www.montsepenarroya.com/wp-content/uploads/2017/09/MP-Logo-Web-1.png 0 0 Peñarroya Montserrat https://www.montsepenarroya.com/wp-content/uploads/2017/09/MP-Logo-Web-1.png Peñarroya Montserrat2009-06-15 10:49:142010-05-05 22:38:22Review of "UNINHABITED SPACE" Jerry Oltion - Quantum, Ed Via Magna. Thursday morning I am pleased to share presentation with Alejandro Luque of Kerygma in the framework of the conference for companies has been teaching The English Court of Sabadell throughout this year 2009. This Thursday's session is the last one and will be dedicated to the Online Reputation Management of brands and businesses on the Internet. In fact, this is one of the most interesting sessions throughout the cycle since the world of communication has been complicated so because of the advent of internet in our lives (both business and personal), there are a host of variables affecting the reputation of a brand and to be controlled if we want to efficiently manage our reputation. Another complication of this new era is to discover what tools we have at our disposal (the whole Web 2.0) and what is the ROI of corporate communication actions carried out on the Internet. In this session we will discuss these 3 topics: the variables that affect the reputation of a brand, the tools we have at our disposal and how to control the ROI of our actions. Alejandro will take care to explain the theoretical part of this matter and I will explain the practical part. Like the other conferences of this cycle will be held at the Cultural Hall of the English Court of Sabadell at 19h. After the conference a round of questions and answers will open, and finally there will be a snack for networking among attendees. Who Bing, Google or Yahoo to be charged? I do not know if the answer is obvious for everyone ... in any case, it seems to me. The victim of this new war will be search engine Yahoo, not Google. In the second place, for years, we found Yahoo, with a market share of between 5% and 30% depending on which country is analyzed. The third player was Microsoft Windows Live and Ask Jeeves for fourth in the West, and if we consider Baidu China and other countries in Asia (Baidu is the number one in China [see chart major search engines in China]). But since last week we have a new player: Bing.com, Microsoft's new search. Let's see how has this affected the rankings. Although it is early to say since many people have entered Bing just to see what it is, the truth is that Bing is making a hole in the market last emotion of the day 4 (see image), it seems to be able to maintain a stable share of visits. Why then I insist that the victim is Yahoo and not Google? So what be the second search engine is not the same as being the third ... and if everything continues, Yahoo will become the third ... this will impact heavily on the number of advertisers of this site and ultimately will death touch the waterline (already very weak) of Yahoo. Control over Yahoo advertisers will be the real war of search engines and which will decide who is the winner. Although advertisers to gain, first gain market share ... and here they are. What is happening (or what will happen) is no surprise. Microsoft was spent all of 2008 trying to buy Yahoo (see Reuters oversupply 46,000 million for the purchase of Yahoo). How it has failed, it has developed again (in 2003 did the same), its own search engine. But this time it has not imitating Google, if not creating something totally different and providing services that go beyond the content search and in certain cases such as travel, will be a killer application for some sites intermediation. In this type of search you compared, it is where most have to win where Bing and Google, so far, offers no competition. What is clear for now is that Bing is here to stay, so we have to be aware of this new search engine and start sorting algorithm to analyze their results to know as soon as possible, how to appear well positioned. In GEA we get down to work and to that has this kind of information we will publish both this blog and in the GEA website. https://www.montsepenarroya.com/wp-content/uploads/2017/09/MP-Logo-Web-1.png 0 0 Peñarroya Montserrat https://www.montsepenarroya.com/wp-content/uploads/2017/09/MP-Logo-Web-1.png Peñarroya Montserrat2009-06-09 11:15:272010-05-12 20:43:38Who Bing, Google or Yahoo to be charged?